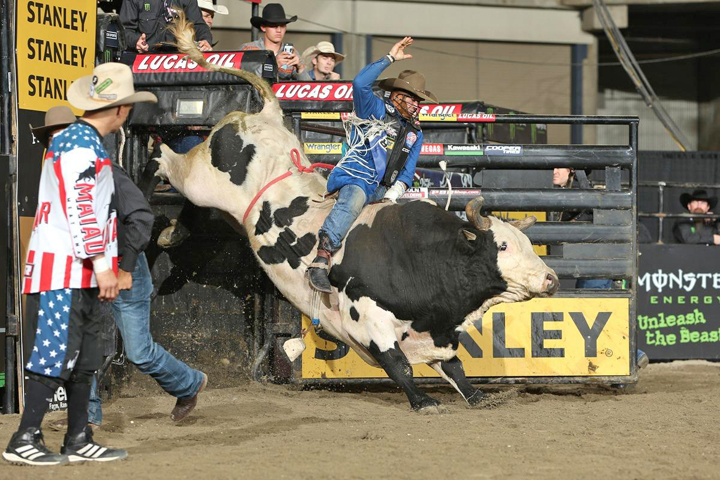 Tacoma, Wash. – In front of an energetic Washington crowd on Saturday night April 14, 2018, PBR’s (Professional Bull Riders) Cody Nance (Paris, Tennessee) won his first 15/15 Bucking Battle of the 2018 season at The 25th PBR: Unleash The Beast, Tacoma Invitational at the Tacoma Dome. Nance, the only rider to record a qualified ride in the special round of competition, rode Painted Pudge (Culp Bucking Bulls) for 84.75 points. Starting the evening at No. 5 in the world standings, Nance’s impressive ride in the 15/15 moved him to No. 3 with only 64.17 points separating him from the No. 1 spot. For his effort, he gained 150 world points and a $21,000 paycheck.